Hi everyone. 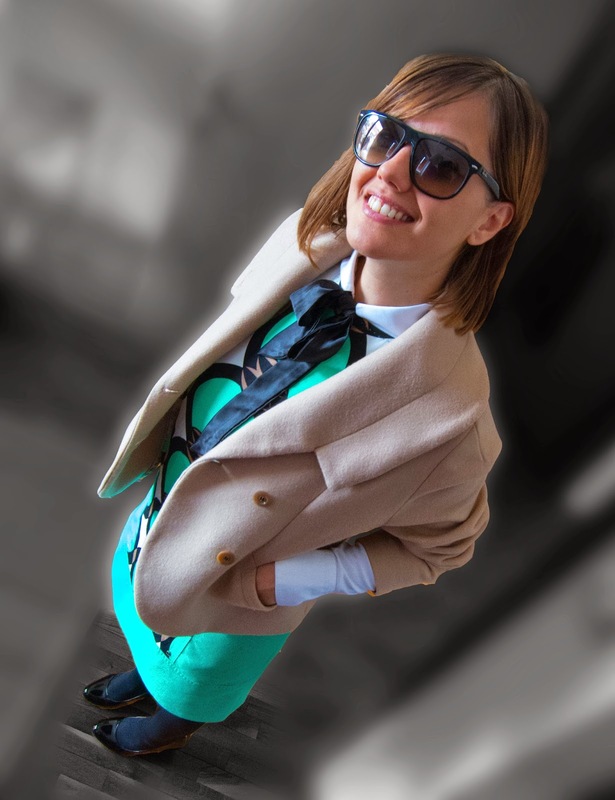 For my second look of the Fashion week diary I've added little pattern, wearing my favorite Nanette Lepore dress, Basler shirt and Massimo Rebecci short coat. I completed this look with Bata shoes, Stradivarius clutch (old one) and Ray ban wayfarer sunglasses. Follow URBAN VIBES on Instagram for more news and coverage from the Fashion weekend Skopje.